Addressing a press conference at the Haryana Bhawan on the fourth anniversary of his government, Chief Minister Manohar Lal Khattar said the BJP-led dispensation provided a "graft-free and transparent" administration. 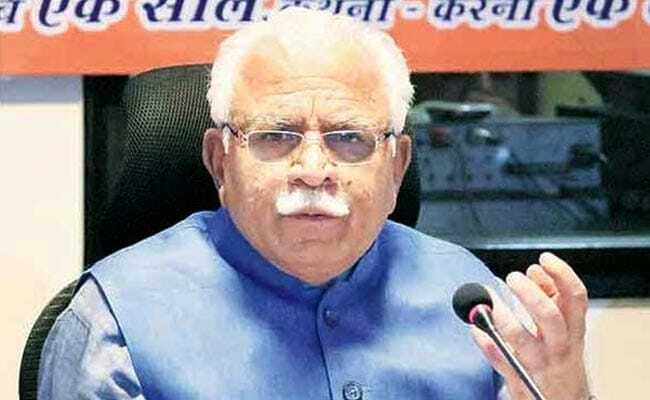 Manohar Lal Khattar underlined that it was prerogative of poll panel when and how to conduct elections. Haryana is ready for simultaneous elections to the Assembly and Lok Sabha if the Election Commission (EC) decides to do so, Chief Minister Manohar Lal Khattar said on Saturday and added he was in favour of such a move. Mr Khattar underlined that it was the prerogative of the poll panel when and how to conduct elections. Addressing a press conference at the Haryana Bhawan on the fourth anniversary of his government, Mr Khattar said the BJP-led dispensation provided a "graft-free and transparent" administration. "We ensured that government jobs were given on merit, started a new transfer policy for all government employees whereby most of them were posted as per their preferences," he said. Listing the achievements of his government, Mr Khattar said the pace of growth of the state would further expedite in the fifth year of his government's tenure. Replying to an question on simultaneous elections to state assemblies and Lok Sabha, Mr Khattar said, "It is the prerogative of the poll panel when and how to conduct elections. We are not saying this, if the Election commission says that both Lok Sabha and state assembly elections should be conducted simultaneously, we are ready for it." 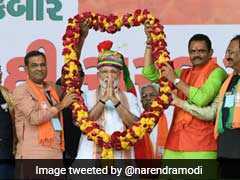 Mr Khattar said he favoured simultaneous polls as it would be beneficial for the country and hoped that by 2024 this could be done. The chief minister said the state government was planning to develop five new cities of 5,000 hectares each alongside two major expressways -- Kundli-Manesar-Palwal (KMP) and Kundli-Ghaziabad-Palwal (KGP). This cities will further boost the industrial, commercial and housing activities in these areas bordering the national capital, he said.